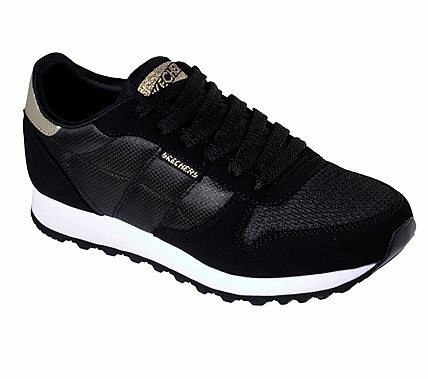 Jog some memories in cool retro style and updated comfort wearing the SKECHERS Originals OG 85 - Clasix shoe. Smooth suede-textured synthetic and nylon fabric upper in a lace up classic retro styled jogging sneaker with stitching and overlay accents. Air Cooled Memory Foam insole.